FALI's 25th Annual Conference Registration is still open! Click HERE for complete details. 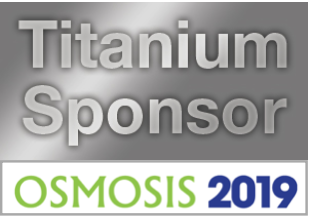 Click the image below to preview the Conference program. 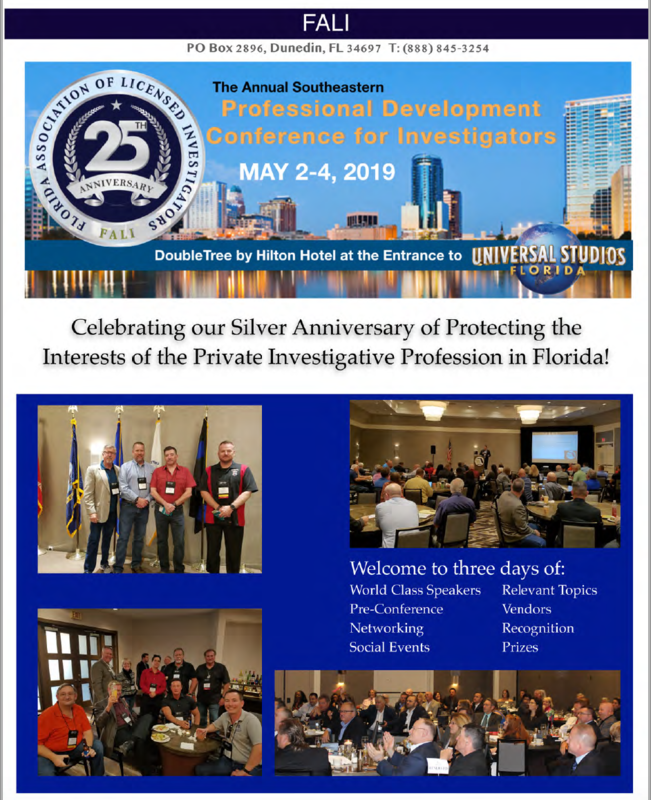 Since 1994, FALI has served as the leading advocate for professional investigators and licensed agencies throughout the State of Florida. Our commitment to professional conduct, ethics and education is the foundation of our organization. Advancing and protecting the investigative profession is what we do. This site was set up to serve our members with the most up to date activities and news regarding our profession. 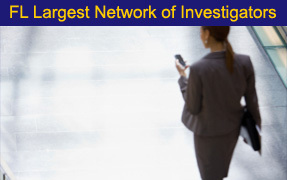 Our goal in bringing investigators together creates unity and builds strength in our profession. When you join FALI, you are investing in your profession, your business and yourself. For more information we invite you to review our history and many of the public areas available on this site. 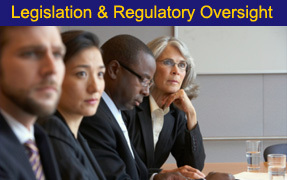 When you join, members gain more than legislative and regulatory oversight. You can enjoy our extensive membership profile that you customize and edit as you wish. Thus, providing other members, attorneys, businesses and individuals a way to find out more about you. Visit the FALI Video Network for informative videos on FALI Benefits, Resources, Setting up your Profile and much more. changing world. The FALI Legislative Committee works year round on issues that protect our profession. membership is a powerful resource. Every investigative field is represented. Join today and gain access.